The August issue of Tabletalk provides a line-by-line exposition and application of Psalm 23. 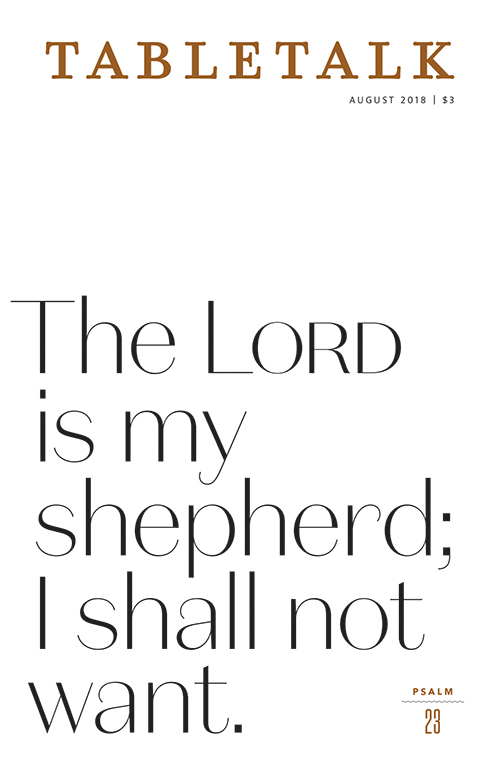 Psalm 23 certainly ranks among the most beloved passages in all of Scripture, and generations of believers have turned to this psalm of David for comfort and assurance in times both good and bad. This issue considers Psalm 23 in its original context, helping readers understand each line of this biblical text and directing them in how this psalm applies to their lives and their walk with God today.